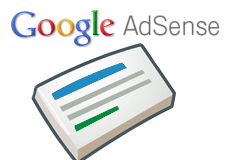 Google has added more controls to blocking ads across your AdSense account. You can now differentiate the blocking of types of ads by site level. Google said this will satisfy one of the "top requests" that they "hear from publishers who manage multiple websites." This come in handy when you want to block a type of ad from showing on your children focused content site but allow that ad on maybe a more adult oriented web site. (1) Site management: You create a list of sites you own under the 'Home' tab, visit the 'Account Settings' page and navigate to the 'Access and authorization' section. Here is more information on the new site level blocking and site management.